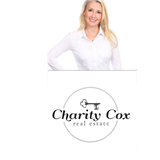 Charity Cox Let Me Help You Find Your HOME SWEET HOME! Filled with historic charm and beautiful homes, Staunton is a great place to live. This family-friendly city offers a rich variety of shops and restaurants to explore, affordable living costs, great public and private schools and convenient transportation options such as Amtrak, Interstate 81, Interstate 64 and Shenandoah Valley Regional Airport nearby. A city with small town charm, Staunton offers a superb quality of life and plenty of great real estate options for families, commuters and retirees alike. Staunton real estate offers close proximity to nearby parks, golf courses, nature trails and nearby cities like Waynesboro. Staunton homes are noted for their historic charm and idyllic views, coming in coveted choices like single-family homes, starter homes, historic homes and quaint townhouses close to many of Downtown Staunton’s finest galleries, shops, restaurants and nightlife spots. Staunton homes for sale and other Staunton properties make ideal choices for families, young professionals, commuters and retirees looking for an affordable community surrounded by the bucolic scenery of the Shenandoah Valley. In addition, Staunton VA homes and other Staunton VA real estate options offer strong value, competitive interest rates and prices below the national average, making them very desirable for all sorts of prospective buyers, especially first-time homebuyers. You can find current available real estate in Staunton, VA on my website. If you are looking for a real estate agent in Staunton, VA, contact me today! Attracted to its rich farmland and fertile woodlands, colonists began to settle the city in 1732. 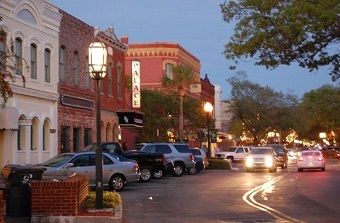 After bearing witness to numerous battles in both the American Revolution and the Civil War, the city was formally incorporated in 1871 and became an independent city under Virginia state law in 1902. Today the city is known for its historic charm, small town character and idyllic scenery, making it very popular among families and retirees looking for property in the Shenandoah Valley. Homes for sale in Staunton offer easy access to a wide array of recreational and leisure activities like hiking, camping, mountain biking, fishing and bird watching. The city also hosts a number of charming parks and public spaces to enjoy, including the 214-acre Gypsy Hill Park, Betsy Bell Wilderness Park, Montgomery Hall Park and many others. Real estate in Staunton is proximate to some of the Shenandoah Valley’s top attractions. Some of these include the Staunton Public Library, the Augusta County Historical Society and Museum, the Staunton Performing Arts Center, the Woodrow Wilson Presidential Library, the American Shakespeare Center and the fascinating Museum of American Frontier Culture. Local events include activities at the Staunton Public Library, performances at the American Shakespeare Center and the Staunton Performing Arts Center, a Flag Day festival and much more. With its blend of small town charm, historic character and easy access to the Shenandoah Valley’s wealth of outdoor activities, Staunton is a fantastic place to buy a new home. Those looking real estate agent Staunton, VA and to become a Staunton home buyer should call me today - Charity Cox, 540-294-5248. I know the best deals available in this historic family-friendly city. Let me help you find your Home Sweet Home! 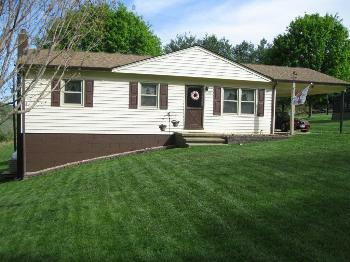 This is a one-stop real estate website for all your home buying and selling needs in Stuarts Draft, VA.